I have Lenovo Ideapad-Z560 laptop with Ubuntu 14.04 (64-bit), iBall external cam USB 2.0. I am unable to make video call in Skype. When I go to Skype-->Options-->Video Devices, it recognize the webcam. In skype it does not show the option to do videocall. I never faced such problems with Skype in Windows OS. Please someone suggest me a solution. Just start a normal call and then click on the video button on the skype call. (See image). It's the leftmost round blue icon. 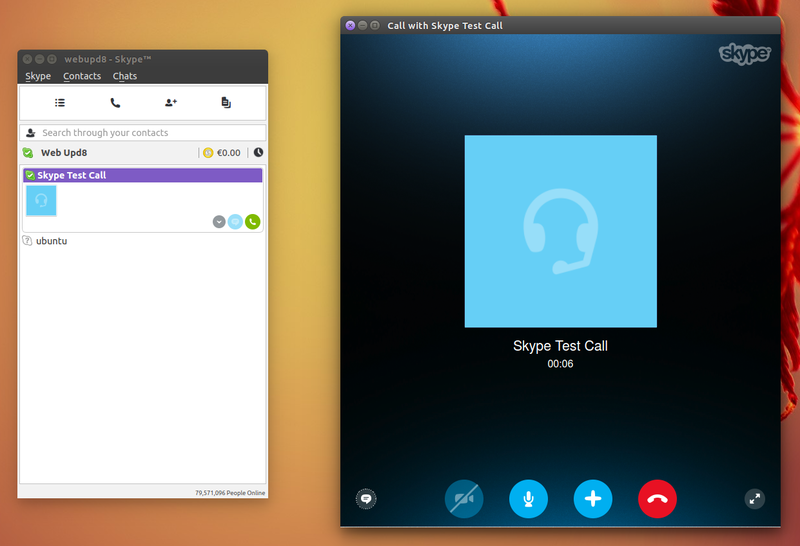 Skype for Linux isn't up to date as the other OS' so you'll need some time to get used to it I guess. Also I want to add that skype video conferences DOESN'T work on linux yet. I had the same issue.But while I was searching for the solution, I got the below link as an answer to this. Video option will be enabled once call is connected. When the call is answered, click in the call window and select Start my Video. You will immediately start to transmit your video to the other caller, providing your webcam is configured correctly. Not the answer you're looking for? Browse other questions tagged skype webcam or ask your own question. Videocall in Skype causes closing session on Ubuntu 12.04, x86? Ubuntu 12.04 - Integrated Webcam not found with lsusb but it shows up in usb-devices? How to make Lenovo E440 integrated webcam work on Ubuntu 18.04?